Combining comfort, ease of handling and safety, the Invacare SB 755 is ideal for all homecare and institutional environments. The SB 755 offers optimum comfort with an ideal seating positioning to minimise shear and friction for patients. 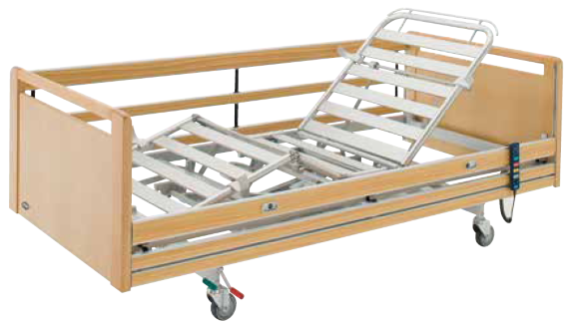 Carers can adjust the bed to meet individual user requirements. Thanks to a unique technical feature the SB 755 can be adapted to taller users as both the head and foot of the bed can be extended. All these features provide real benefits to users and care-givers in terms of comfort and general well-being. Features include an improved auto-regression system, optimised length of mattress platform sections and a leg section that can be lowered below horizontal.